See the best of New York City by land, by sea and by air, and save with this special package! Back down on the ground, you’ll enjoy all Manhattan and Brooklyn have to offer. With fully narrated tours and unlimited hop-on, hop-off access on the Uptown, Downtown and Brooklyn bus loops, you can see and explore the most famous New York City sites up close. Also included with your bus ticket is $115 worth of free bonus inclusions -- The Night Tour, CitySightseeing Hop-on, Hop-off Ferry, museum admission and an Eat and Play discount card for additional savings at 100+ restaurants, attractions and shows! Please see the Details tab above for more information, and the Routes and Stops tab for a full list of designated bus stops. The helicopter tour does not need to be done during the 48 hours your bus tour is live - you have 14 days to do both parts of this package. You can begin your bus tour from any designated hop-on stop on any route. Simply show the driver your mobile or printed ticket and you’re on your way! Please note that helicopter tours do not operate on Sundays. Please arrive 30 minutes before the scheduled fight. See the best of the Big Apple with the All Around Town Tour. This 2-day double-decker bus tour pass includes unlimited access to 4 great tour loops so that you can see all that New York City has to offer! Sit back and relax as our knowledgeable tour guides walk you through the history and background of all of the spectacular views and sights. With must-see attractions like Times Square, the Brooklyn Bridge, the old Yankee Stadium, Central Park, and more, you’ll get the full New York City experience from the comfort of our double-decker bus! Want to explore areas of the city up-close? Just hop off at any of the tour stops, explore, then hop on the next bus when you’re ready! With unlimited hop-on hop-off access on Downtown, Uptown, and Brooklyn tours, we can get you everywhere you want to go. All ticket purchases also include exclusive content in the Timelooper virtual reality mobile app Watch the city transform right before your very eyes! Timelooper allows you to travel through space and time to relive historical events that took place in major New York city landmarks. Witness the famous V-J Day Kiss in Times Square in 1945, watch the ironworkers enjoy lunch from a hanging beam atop the Rockefeller Center in 1932 and even check out Federal Hall in 1789 during George Washington’s first inauguration speech! • The BEST value package for NYC bus tour sightseeing! • Unlimited hop-on hop-off access throughout Manhattan, and Brooklyn – a $280 value! • Narration in 11 languages available on all bus tours. After you complete your online purchase, you will be redirected to a page with your live ticket. This ticket includes admission for all products included in this package. Additionally, an order confirmation with a link to this ticket will be emailed to you within two hours. You may use the live ticket on your mobile device to board the bus, but a printed ticket is required for the helicopter tour. Your live ticket is activated the first time it is scanned for admission and will expire 14 days later. 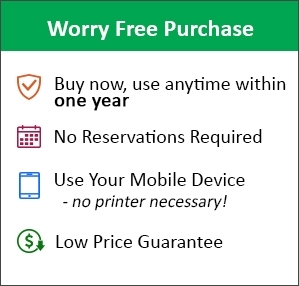 You have one year from the date of purchase to begin using your ticket. Reservations are required for the helicopter tour. To reserve, call 212-355-0801 or email info@heliny.com at least 24-48 hours before your desired flight time. A printed copy of your ticket will be required, as as will a Government issued photo ID. A link to your ticket can be found in your order confirmation email. The included All Around Town bus ticket is valid for 48 consecutive hours from the first time it is scanned on the bus. This consecutive time-frame includes all bus loops, the Night Tour, CitySightseeing Hop-on, Hop-off Ferry and the bonus museum admission choice included as part of the All Around Town Tour.